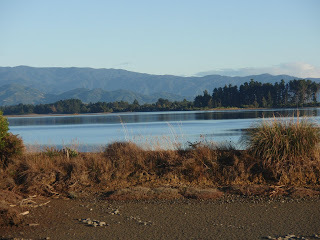 Well I am now back home after having a fantastic week in the Nelson area. 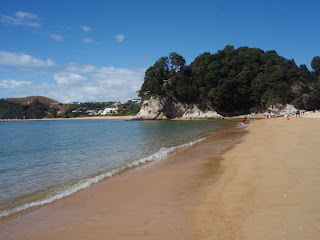 On Friday I drove to Kaiteriteri Beach and enjoyed a cup of peppermint tea in the sun enjoying the view. The sand at this beach is golden and coarse instead of the white sand that is more usual here in New Zealand. 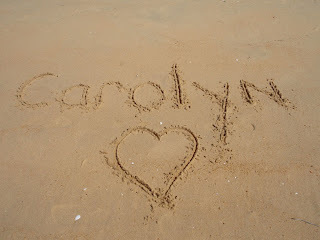 The following is a picture of part of the beach. I also managed to tick something off my 101 things list as shown in the following picture. 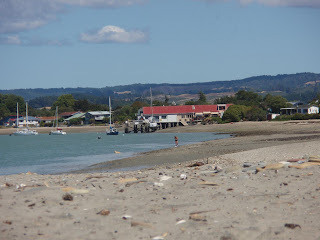 Every day I spent time on the beach outside my cabin at Mapua. The following picture is taken from my sunbathing spot towards the Mapua wharf. The picture was taken at low tide. There are several restaurants based at the wharf including the Smokehouse where I had a delicious meal on Thursday night. A lot of the area is very tidal with great expanses of estuary revealed at low tide. One morning when I was heading out on one of my driving trips I stopped and took the following picture. It was quite early and the light and colours were amazing - it's a shame I am not an accomplished photographer but here is a photo anyway. Finally, on my last day I went to the Nelson market. It was yet another gorgeous sunny day and there were plenty of people at the market. There was a good mix of fresh produce, crafts, food stalls and all sorts of items of interest. 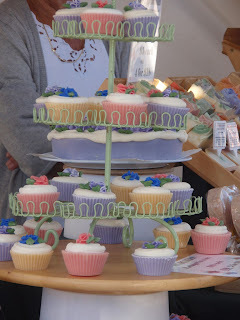 The cutest thing I saw was a soap stall where some of the soaps were shaped like cupcakes. My whole holiday was simply awesome and I have already booked my little cabin for next year. I plan to go for a little longer next year - 10 nights instead of 6. I imagine that I will do less driving around and more lazing next year - fantastic! So pleased you had such a glorious holiday and pampered yourself. How are the chookies getting on? I'm sure they help demolish/devour the most marrow like zucchs.